Subject One of the main tasks of economic policy is full-scale national security, which requires maintaining the competitive ability of the entire high-tech facilities of the country. However, the growing literature indicates that the economic greatness of the USA is exceptional and it is impossible to achieve parity in the production of military and special-purpose equipment. Objectives The study focuses on a comprehensive analysis of issues related to the ratio between GDP and GNP of the USA and the Russian Federation, their military expenditures, military budgets and efficiency of their use, military production and its role and place in the national economies. Methods The paper employs methods of historical and logical analysis (generalization, comparison, deduction). Results The reasoning given in the article convincingly exposes and refutes the allegations and shatters myths about the economic greatness of the USA and the omnipotence of the American military-industrial complex. The study shows that the GDP/GNP indicators do not fairly reflect either the degree of the country's potential realization, or the strength and effectiveness of its economy. Conclusions The model of Russian economy development that rests on raw materials exports has reached its limits. It is crucial to implement progressive economic restructuring, ensure economic and financial independence, increase the share of advanced and less capital-intensive industries, develop science and technology. Huerta de Soto J. Den'gi, bankovskii kredit i ekonomicheskie tsikly [Money, Bank Credit and Economic Cycles]. Chelyabinsk, Sotsium Publ., 2008, 663 p.
Marx K. Ekonomicheskaya rukopis' 1861–1863 gg. Protsess proizvodstva kapitala. V kn. : K. Marks, F. Engel's, Sobr. soch. Izd. 2. T. 47 [Economic Manuscripts of 1861–1863, Capital Production Process. In: K. Marx, F. Engels, collected edition, edition 2, vol. 47]. Moscow, Gospolitizdat Publ., 1955–1981, pp. 190-191. Katasonov V.Yu. Kapitalizm. Istoriya i ideologiya “denezhnoi tsivilizatsii” [Capitalism. The history and ideology of ‘money civilization’]. Moscow, Institute of Russian Civilization Publ., 2015, 1120 p.
McConnell C.R., Brue S.L. Ekonomiks: printsipy, problemy i politika, Т. 2 [Economics: Principles, Problems and Policies, vol. 2]. Moscow, Respublika Publ., 1992, p. 384. Nigmatulin B.I. Velikaya Otechestvennaya voina 1941–1945 gg. Zhertvy narodov. Bitva ekonomik Sovetskogo Soyuza i Germanii [The Great Patriotic War of 1941–1945. Victims of nations. Battle of the economies of the Soviet Union and Germany]. 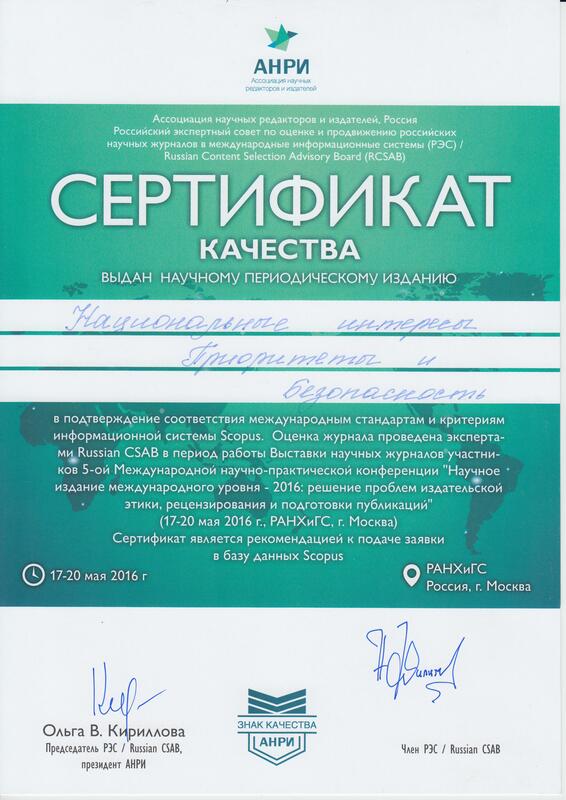 Moscow, GEOTAR-Media Publ., 2015, 204 p.
Katasonov V.Yu. Amerika protiv Rossii. Kholodnaya voina 2.0 [America against Russia. Cold War 2.0]. Moscow, Knizhnyi mir Publ., 2014, 448 p.
Malkov S.Yu., Chernavskii D.S., Kosse Yu.V. et al. Vliyanie voennykh raskhodov na ekonomiku: skol'ko platit' za voennuyu bezopasnost'? V kn. : Stsenarii i perspektiva razvitiya Rossii [The impact of military spending on the economy: How much we should pay for military security? In: Scenario and prospects for Russia’s development]. Moscow, Lenand Publ., 2011, pp. 288–304. Voenno-ekonomicheskaya teoriya XXI v. Kn. 1. Voennye, politicheskie i makroekonomicheskie osobennosti realizatsii ekonomicheskogo potentsiala Rossii v sfere oborony v pervoi chetverti XXI v. [Military-Economic Theory of the 21st century. Book 1. Military, political and macroeconomic specifics of Russia’s economic potential realization in the sphere of defense in the first quarter of the 21st century]. Moscow, 46th Central Research Institute of Ministry of Defense of Russian Federation Publ., Yaroslavl, Kantsler Publ., 2018. Podberezkin A.I., Sokolenko V.G., Tsyrendorzhiev S.R. Sovremennaya mezhdunarodnaya obstanovka: tsivilizatsiya, ideologiya, elity [Modern international environment: Civilization, ideology, elites]. Moscow, MGIMO University Publ., 2015, 464 p.
Starikov N.V. Natsionalizatsiya rublya – put' k svobode Rossii [Nationalization of the ruble as a way to Russia's freedom]. St. Petersburg, Piter Publ., 2013, 336 p.
Strategicheskoe prognozirovanie i planirovanie vneshnei i oboronnoi politiki: koll. Monografiya. V 2 t. [Strategic forecasting and planning the foreign and defense policy: a multi-authored monograph, in 2 vol.]. 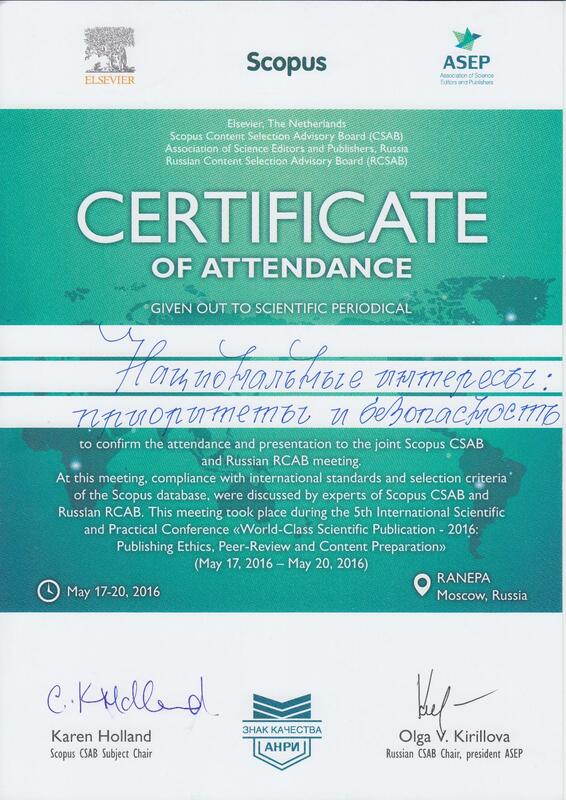 Moscow, MGIMO University Publ., 2015, 796 p.